Today I’m featuring the same scene as shot by two very different cameras. 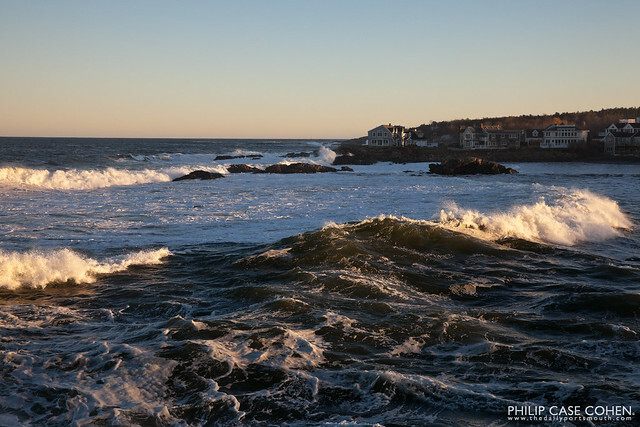 As you can see, the light was simply gorgeous in the late afternoon on Veterans’ Day at Perkins Cove in Ogunquit. The image above was taken with my uncle’s beloved Hasselblad camera, dating back to somewhere in the 1950s or 1960s. This medium format camera is the dream of many photographers, and I’m lucky and thankful to have the opportunity to use it. This image was one of my favorites from the first roll of color film I had developed – using one of the lovely Carl Zeiss lenses I’ve been shooting with and writing about lately. 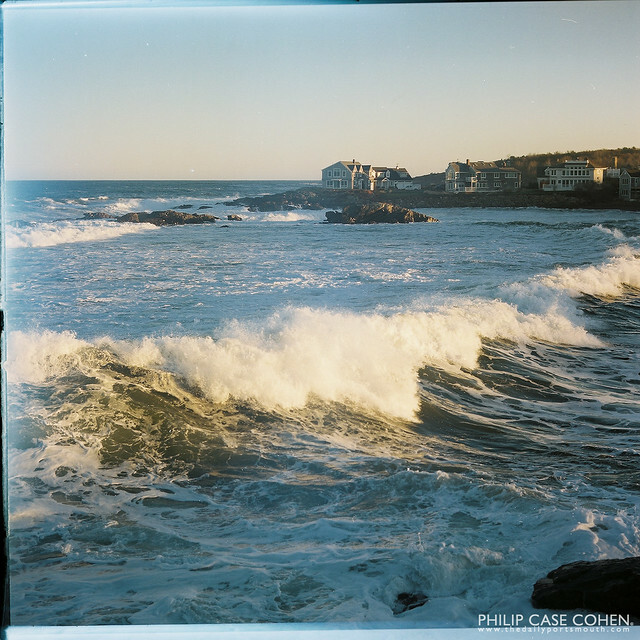 Below, you can see another wave in the afternoon light as shot with my modern day dream of a digital camera, the Canon 5d Mark II. It’s incredible what advancements can take place in technology, and despite all this – some people still prefer to stick to the tried and true….although at this point I think it’s safe to say that the majority of photographers are shooting on digital cameras. Now, if I could only get my hands on a digital Hasselblad! Happy Thanksgiving to all! Thanks for visiting, I always appreciate your feedback and support. I’ve got an incredible amount to be thankful for this year, a wonderful family & new fiance, a great audience & community, and many milestones I’ve been thrilled and appreciative to record over the past year. Cheers to all & I hope you have a great day filled with thanks for all the things big & small that fill your days. Have to admit, I’m partial to the film Hassy shot. Digital may be faster and cheaper than film but there’s a certain quality to those film shots that just can’t be matched.